Get back to basics when you host your engagement party, bridal shower, or reception. Make sure your guests and wait staff navigate the drink line in style with the Wedding Classic Drink Ticket. 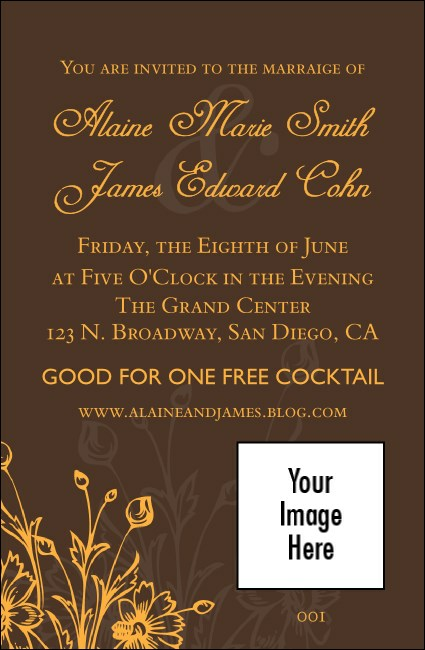 With space for an image of the happy couple, this drink ticket is printed in brown and gold. It features individual numbering, ensuring easy management of food and drink. Make it even more classic with a Matching Event Kit, from TicketPrinting.com.